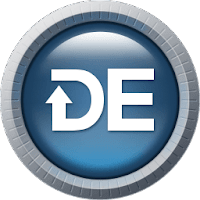 Driver Easy is a one-stop driver solution developed by Easeware Technology, that is has been designed to automatically detect, download and fix driver issues on your PC. Supported by over 8,000,000 driver database with daily driver updates, It keeps all drivers in your computer up-to-date so that to maximize PC performance. There are two versions of Driver Easy: Free and Professional. Driver Easy free version is free for personal use. You could enjoy downloading drivers one by one and proceeding installation by yourself. But the features set in professional version are unquestionably more impressive. High-speed download, Driver Backup, Driver Restore, Driver Uninstall function are available in the Professional version. Disclaimer: Direct downloads for the lastest version of Driver Easy 5.6.10.59951 are provided by the official software's author, we can't guarantee safety, availability or download speed. Moreover, we don't and we won't provide any pirated/illegal versions or tools. We recommend you to avoid it as these methods can harm your device. If you like the software, buy it to support the developers. (We provide software discounts for many worldwide brands).